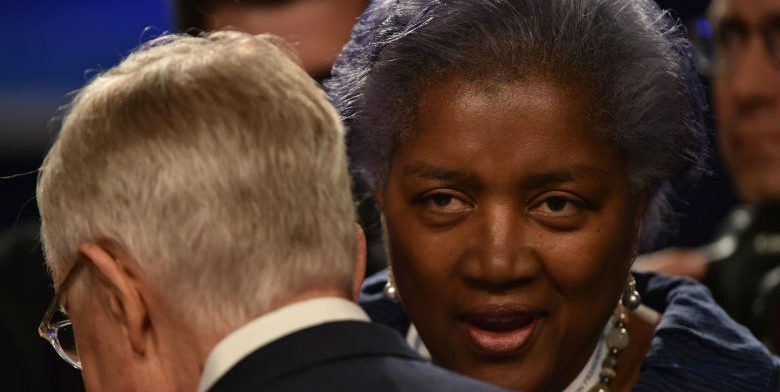 Although she was busted cheating for Hillary Clinton during the 2016 election, lied about it, and was finally forced to admit it, somehow Donna Brazile thinks that she can help educate conservative viewers on Fox News ‘who never hear’ what democrats stand for. What was once a legitimate news outlet that did try to deliver ‘fair’ (which means only 40 percent liberal propaganda) news, has made some recent changes that show it is going the way of CNN. The latest news contributor is Donna Brazile. Brazile is a lifelong liberal, whose actions during the 2016 showed her bias and ability to lie. The former acting chair of the Democratic National Committee is joining up with Fox News. Donna Brazile is a lifelong liberal with a bias that is so large it can’t be measured. She will hold a position as a political commentator on the network, according to the announcement made Monday. She basically wants to ensure ignorant conservatives have a chance to hear democrat talking points. Although the media bombards Americans every minute with leftist manipulations, apparently Brazile thinks there are some folks who just don’t know what democrats ‘stand’ for… other than lying and cheating. “I’m delighted to be joining Fox News. I know I’m going to get criticized from my friends in the progressive movement for being on Fox News. My response is that, if we’ve learned anything from the 2016 election, it is that we can’t have a country where we don’t talk to those who disagree with our political views,” Brazile said in a statement. “There’s an audience on Fox News that doesn’t hear enough from Democrats. We have to engage that audience and show Americans of every stripe what we stand for rather than retreat into our ‘safe spaces’ where we simply agree with each other. For there is no safety in self-limiting numbers. You can be darn sure that I’m still going to be me on Fox News,” she added. In other words, conservative viewers who watch Fox news don’t really know how superior democrat ideals are, so Brazile will teach us. In October, Brazile was forced to resign from CNN as a contributor after she was busted leaking debate questions to Hillary Clinton. Anyone who saw the debate in question knows that Donald Trump nailed it and Hillary’s answers were just a little too contrived. Brazile denied that the CNN town hall debate had been a set up for Clinton, but that was a boldface lie. Of course, that seemed to be another lie. “From time to time I get the questions in advance,” wrote Brazile. But then, WikiLeaks delivered another set of emails, indicating that she had turned over questions. Then, after she was completely busted, she ‘admitted’ it. But, check it out, she tried to diffuse the blame and then only ‘regretted’ getting caught. Isn’t that just like a democrat? The thief isn’t sorry he stole, but he’s very sorry he got caught and is going to jail. So now, Fox News has invited a liar and cheater as a political commentator? Given that most liberal politicians are also liars and cheaters, perhaps she’ll fit right in? Others argue that this is just another death knell for Fox News. Next Next post: Is More Gun Control the Answer for New Zealand?